Strong enough to start a car. 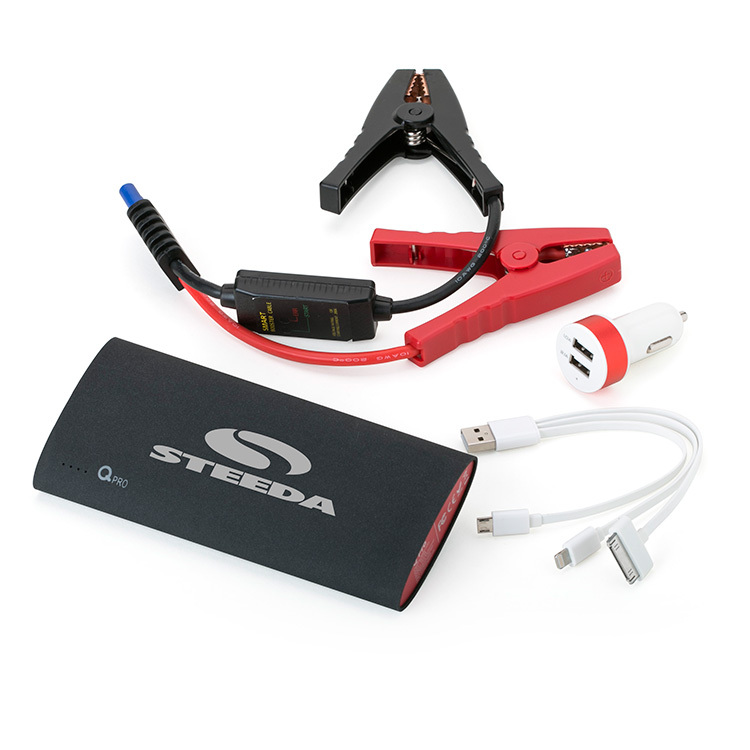 The Alpha Powerbank/jump starter charges phones, tablets, speakers and other portable USB devices, plus is strong enough to jump start a car. If you are looking for portable power, this is it. The over all size of the UQ5175 Alpha Powerbank/jump starter is 6.61″W x 3.07″L x 0.98″Thick. With a large imprint area fro your logo of 2-3/4″W x 1-1/2″H. The standard imprint method is silkscreening. The UQ5175 Alpha Powerbank/jump starter as comes complete with car battery connector, USB car chargers, and 3 in 1 charge cord. The crazy power of the UQ5175 Alpha Powerbank/jump starter I think makes it the best powerbank for a tech heavy user in the field. I am thinking of maintenance repair or insurance adjusters, or other folks that are working via tablets and cell phones for their complete workday. I am having some work done on my house presently, and during the planning phase, everything was done via an iPad in my living-room, from looking at designs, to approving the paperwork. For a power user of mobile tools, the UQ5175 Alpha Powerbank/jump starter should certainly be an item your sales staff carries daily. Please contact us at info@proformagreen.com if you would like more information on the UQ5175 Alpha Powerbank/jump starter.